Simms worked for plaintiff CDM Media but switched jobs to work for Box, allegedly one of plaintiff’s larger customers. Plaintiff alleges that Simms violated a non-compete and misappropriated its trade secrets. Simms sought to explain that the privacy settings did not necessarily restrict group membership to a limited group, but the court says this type of inquiry is not appropriate at the motion to dismiss stage. 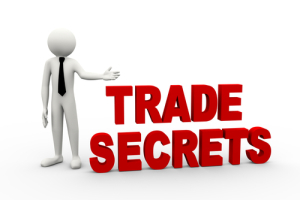 However, the court concludes that the message contents are not per se trade secrets. Perhaps certain messages could be, but a generalized allegations that all messages were trade secrets does not cut it. password or other related account information in order to gain access to the employee’s…account or profile on a social networking website or to demand access in any manner to an employee’s … account or profile on a social networking website. LinkedIn easily falls within the statute’s definition of a “social networking website”. Perhaps the dispute is really about alleged violation of the defendant’s non-compete clause, with the LinkedIn account ownership thrown in as an afterthought. I really question the value something like that could have to an employer. Case citation: CDM Media USA, Inc. v. Simms, 2015 WL 1399050 (N.D. Ill Mar. 25, 2015).